With the social care needs of older people not being met, trained and competent care staff can help improve the lives of older people. Care Home Professional has reported that, according to Age UK research, ‘1.4m older people are not having their care needs met’. This figure has grown by 20% in the last two years. Where older people are unable to obtain the care and support they need, Caroline Abrahams, Age UK’s Charity Director says, “They are at far greater risk of not eating enough and of falling and hurting themselves…”. This in turn leads to more older people being admitted to hospital and then not being able to be discharged due to lack of appropriate social care . This is placing a large, and, in part, preventable burden on the NHS. A Cambridge University study published in November 2017 found that nearly ‘half of over-65s in England are taking at least five different drugs a day’ (Click Here). Some individuals who took part in the study were taking as many as 23 tablets a day. With so many older people taking a number of medicines every day and without the support they require, the risk of medicines errors occurring is greatly increased. In particular, certain medicines are known to increase the risk of falls, especially in the elderly. 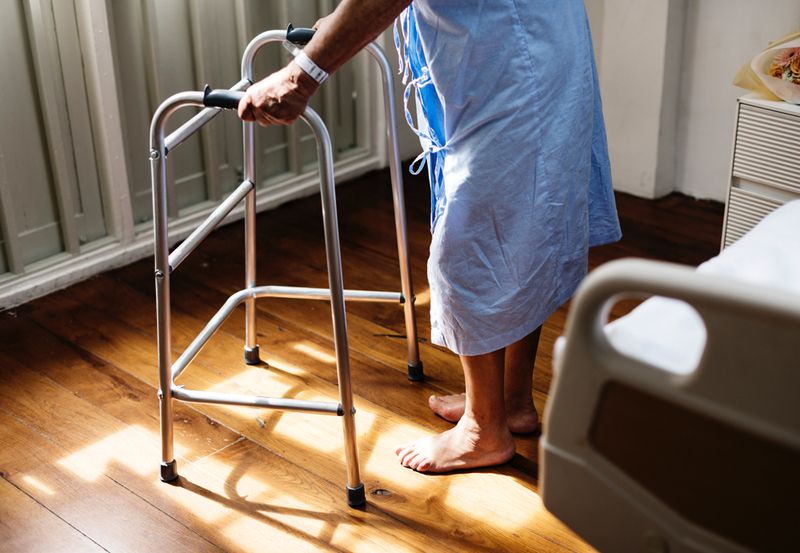 Without being aware of these risks and how to prevent them, older people are more likely to suffer a fall, potentially injure themselves and end up in hospital, where the cycle (and NHS cost) continues. Whilst there may be larger issues in relation to the level of social care available for older people, care managers and staff can do their bit to help. If older people are educated about their medicines, and supported by people who understand medicines, the negative impacts being felt by older people can be significantly reduced. By ensuring your care staff are fully trained and competent to understand medicines, their side effects, when particular medicines should be given, and precautions to take, you can ensure older people are receiving care that will help keep them safe. - helping them retain their independence. Where these aims are met, older people can then take their own medicines, at the right times, and in the right way, thus reducing the burden on the social and healthcare bodies. Well trained social care staff can inspire and encourage people to manage their own health and make the most of life! Got a question? Simply contact our friendly team.